"It starts with great content. Have something that people want to see," Zellers said. "Beyond that, it's really just looking at all the different tools that we have at our disposal, whether they be traditional or digital. When we come up with ideas for clients, it's generally a package of things that range from things that we as a company do and can make money on—whether it be social media campaigns, mobile apps, whatever we might be able to build in the digital arena for that client—but we're also constantly coming up with ideas that just occur to us, that we just throw at them. They're not things we're going to be able to do. They're real-world activations, they're PR stunts, they're blogger programs, all kinds of different things." Before setting out on this journey, it's important to have a destination in mind. As David Williams, chief content and technology strategist for Endemol USA, told the audience, defining campaign objectives is crucial. "One of the first things I want to get crystal clear about is the why question," Williams noted. "What are our objectives? What's the overriding goal? Sometimes the goal is revenue, sometimes the goal is driving subscriptions of some kind, a connection. Sometimes the goal is brand-building. I think if you're crystal clear about your goal to start, that that's going to drive the rest of the strategy." For more tips on creating a brand video strategy that goes beyond YouTube, watch the full discussion below. This session discusses how brands and content creators can go beyond YouTube to reach their audiences directly, wherever they are, across multiple platforms and devices. Join us for a conversation about the growth and evolution of multiscreen viewing and how to devise a business strategy that makes sense for your content/brand while overcoming technology challenges so you can monetize your content. Learn how to leverage multi-platform content distribution options for new brand-building and revenue opportunities. Brands are beating ad-blockers by sponsoring original online video that viewers actually want to watch. However, branded video needs to feel authentic or viewers will turn away. 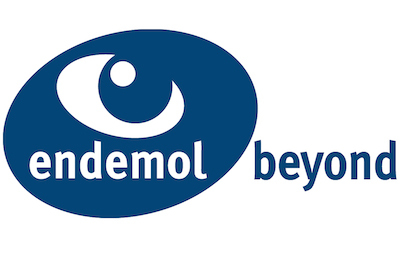 In its biggest deal yet with a YouTube star, Endemol Beyond will grow FAWN into a premium multichannel lifestyle network.